The 7th Turbulence Training Transformation Contest winners will be up this week…this was the most consistent “class” ever and truly amazing. Now I have no idea who Charles Buxton is, but his quote got the biggest response out of any quote I have ever posted on Facebook…that’s how much of a valued resource your time is…so don’t waste it, and don’t expect to “find any extra time” to do the things you want…you have to MAKE time. So even if you don’t want to enter a contest, I highly recommend that you still take before photos, just for your success and personal documentation. You’ll regret it if you don’t. Cool stuff…let me know the #1 factor in your success…just post it in the comments below. Rest 1-2 minutes before repeating the circuit 2 more times. Get 30 minutes of fun activity – now grab a Green Tea and let’s do this week’s research review. J Strength Cond Res. 2010 Mar 17. The Metabolic Costs of Reciprocal Supersets vs. 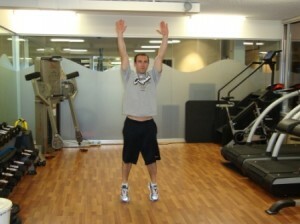 Traditional Resistance Exercise in Young Recreationally Active Adults. Kelleher AR, Hackney KJ, Fairchild TJ, Keslacy S, Ploutz-Snyder LL. Musculoskeletal and Human Performance Laboratories, Department of Exercise Science, Syracuse University, Syracuse, New York. This study compared the calorie burning benefits of a traditional resistance training (TRAD) workout against a superset (SUPERs) workout. 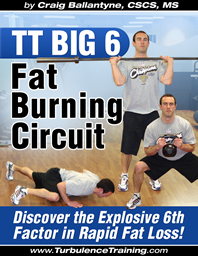 10 young men did both workouts separated by a week…and did 6 exercises for 4 sets each. The results showed that calorie burning (during and after exercise) was greater EE was significantly greater with the Superset workout. Do 30 minutes of fun activity…and remember how last week I said there were 5 reasons that yoga helps you lose weight? Well, this week I was reading the May issue of Men’s Health magazine and they quoted a 2009 study from the Journal of the American Dietetic Association showing that Yoga increases mindful eating…just like I mentioned last week. Last workout of the week…let’s be strong! I like this guy Winget…he’s got some great books. 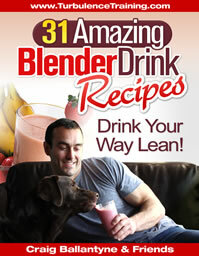 That goes well with my new Simple Nutrition & 31 Blender Drink Recipes plan.